We are pleased to offer dry, safe and secure storage for your household furniture and possessions at our location in Somerset. The rooms are purpose built for storing residential items such as soft furnishings and electrical goods. With our latest line of investment we now have rooms that are insulated on the floor, wall and roofs. Offering all round insulation for your goods. Whether you are moving house or just need a bit of extra space we have the solution for you. We offer a range of different size rooms. The low cost self storage in Taunton comes in the form of our small rooms which are good for decluttering or just storing a bit of overflow from your house. If you've got someone coming to stay or maybe a new arrival on the way you can store with us temporarily - although if it's a baby on the way 18 years is probably not classed as short term storage! Our larger rooms are often used for house moves. Whether that's storing so you don't break the house sale chain or whether you're moving in to rented while you look for a new place. Again you can store short or long term. 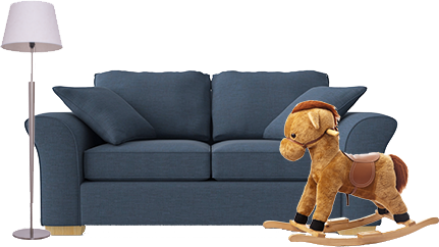 Sizes range from a small van load up to larger three or four bed spaces. If you are thinking of renting out your flat or house it may be a good idea to store your items. Feel free to call us and we can go through the costs with you. Storage companies work in square feet so we quote all our rooms in square feet, for example our larger rooms are 120 square feet, which is 15 foot by 8 foot. The rooms are 7 feet in height. All the units are divided up in to individual rooms so only you have access to your room. You can come and go as you please - there isn't a charge for access. If you opt for the 24 hour access option you can even get to your goods when the office (and security gates) are closed. We currently have an introductory offer of 50% off your first 8 weeks storage across selected storage rooms. Call us on 01823 284400 or get an instant online quote online which shows you the details of the offer and ongoing prices. Our self storage in Taunton offers an affordable option for your needs. Should your requirements change, you are able to change unit sizes at any time. We have four sizes on site and we offer flexible agreement terms and only a fourteen day minimum stay. All units are water tight, insulated and clean. Ideal whether you are storing furniture, electrical items or your personal belongings. When you're moving house or storing for other reasons money can be tight, it might just be cash flow but it doesn't help when the van hire company or removals company want a deposit. That's why we just ask for you to pay for your invoice in advance (as all companies in our industry do), we don't ask for a deposit for your storage. Taunton is a great place and we're sure you've got much more exciting things to spend your money on! That doesn't mean you can't secure your room ahead of when you need it though. For £10 you can have a room put to one side, even if you don't know exactly when you're moving. The reason we don't call that a deposit is because it's refundable, it either comes off your bill or you can have it back if you change your mind. We don't know many deposits you can do that with! Security of your goods is our priority. The premises benefit from 24x7 CCTV, electronic gates and a two metre high perimeter fence. Our gates are always locked, and it is only our customers that can have access. The locks come with three keys, and you are the only key holder. The locks themselves are unpickable and specially imported from the States, forming your first point of security. These locks are special barrel / cylinder locks that fit in to the door mechanism so they can't be cut. Sometimes it's not possible to be with your goods when they arrive at our site. We can arrange everything with you via email / over the internet. This is often used when people are moving back to the area, whether that's from abroad or just another county. We can take payment over the phone and then your removals company / friends / whoever can move you straight in. We try to make our facilities as easy and convenient to access. If you need access outside of office hours our Taunton self storage site offers a 24 hour access option with the first 4 weeks FREE! If you are in a chain and one side is moving quicker than the other then it can be a stressful time. Many of our customers choose to complete with one side and then store the contents of their house until the other side can complete. Of course if you have a buyer for your place, or need to be out of rented accommodation you can always store until you have found somewhere else. You can store from as little as ten days (you can store for less but you need to pay for fourteen days) and you only pay for the days you use so it is flexible and can work around changing completion dates. If you're looking at home improvement and thinking of knocking a few walls down you probably want to have your three piece suite out of the way first. Similarly if you're selling your home you've probably got a better chance if the three thousand novelty teapots aren't cluttering up your kitchen work tops. Our self storage units in Taunton can be used for a variety of items for a flexible amount of time. Storing when decorating could save you the cost of replacing some of your favourite furniture while decluttering your house not only could sell your house quicker but also get you the price you desire. You can store motorcycles with us, we just ask that you don't store jerry / petrol cans. With the added use of the 24 hour access it makes it easy to come and go as you please. Often people store their bikes with us when they are going away or if they just like to use them for recreational uses. Usually a thirty square foot room is plenty for one motorbike, if you want to have more than one in there you will probably need the sixty square foot room. We believe there aren't any other storage facilities in Taunton offering a motorbike sized room with twenty four access. Of course - well as long as we have the room! Should you wish to put your goods in to store with us today you will need to call us and first off we can check if we have availability. During busy times storage space in Taunton can be limited and we do run out of certain size rooms. If we have a room available, after a quick ID check then we can start the process. Within the hour we can have you on site storing your goods. Also please note our opening hours which are listed below. The twenty four access is available for existing customers, should you wish to move in outside of our office hours then we would first need to process your paperwork during our office opening hours. We can do this over the phone and by email so you don't need to come down to the facility during normal hours. If it is worth storing it is worth insuring and our insurance covers fire, flood and theft. Giving you that extra peace of mind when you're away from your goods. Our coverage is specific to our industry and covers you for fire, flood and theft. We aim to offer affordable storage in Taunton while offering a quality service backed up by excellent customer service. We work hard to keep our prices down, no one likes to be referred to as cheap but we do aim to be the best priced company in the area. So we monitor other storage companies in Taunton and if their facility is comparative to ours we aim to have a lower cost. Should you find that not to be the case we promise to beat their price by ten percent. We can't say fairer than that. UK Storage Company in Taunton is based on the edge of the own about a mile or so from the town centre. We are on the Minehead Road (or Watchet / Bishops Lydeard road if you like) heading out from the Cross Keys pub roundabout. If you look for our signs on the left not long after the petrol station you can't miss us. If you reach the manor camp then you've gone too far. If you need further guidance we're happy to talk you through how to get to us, especially if you're not familiar to the area or it's been a while since you visited your items in storage. Taunton has had a few road changes over the years - we used to get caught in the queues to cross the train line at Silk Mills if you can remember those days. We offer exceptional customer service, you will find our staff friendly, helpful and knowledgeable. We work hard to make sure the site stays clean, litter free and well maintained. 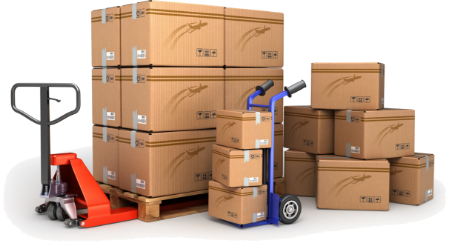 Moving house or business can be a stressful time, and we endeavor to make storing your goods as easy as possible. If you are after Taunton storage call in today to have a look around or call for a chat about how we can help you. No appointment is necessary. Need Van Hire or Removals? Over our time here we've built up a relationship with quite a few companies that we've worked alongside when customers have move in to (or out of) our facility. For removals we recommend two companies. Your Move are a local based father and son team who have the big removals van without the big removals price. They've moved many customers in and out of the site as well as moving the owner on more than one occasion. GWB Services are a man and van service who are experts at smaller moves. They have a few vans so can accommodate most requests and there can be as many as three of them helping you move so you don't have to lift a finger if you don't want to. They charge by the hour and will move just the large items if you need. There is a less obvious advantage to not doing the move in to self store on your own. These people are professional packers and maybe be able to get more items in than if you do it yourself. They can place your possessions in to your rooms carefully and safely so that when you open the door the items don't fall out on top of you (much like our Tupperware cupboard at home!). Regarding van hire we recommend Falcon Van Hire who offer a range of vehicles including vans suitable for a small amount of furniture up to a luton / box vans. Call them on 01823 324021. All sorts of companies and organisations store with us, whether that's stock, promotional material or tools. Find out how our business storage could work for you. 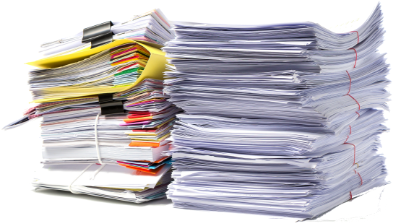 If you're looking for your records and files to be professionally managed, then you should consider our document storage in Taunton. I was relocating from Taunton to Düsseldorf in Germany, I used UK Storage to store my belongings during the transition. The storage was good value for money, easy to set-up and secure. Their customer service was second to none. Even went contacting from Germany they were easy to get hold of and always happy to help. They made what could have been a very stressful move carefree. Super clean storage. Cheaper than I expected. Helpful staff. I've used them more than once and recommend them to anyone in Taunton looking for storage. I had a unit from December to October storing house stuff - no signs of damp or anything. 10/10 - would store with then again. I just moved back from Malta and needed to store my things whilst looking for somewhere to live. I found the staff very friendly and helpful and the process was simple and straight-forward. The unit was ideal and the prices very good too. Easy access to the depot, it could not have gone better. I would recommend this company. This storage was clean and the service very easy to use. When I had finished using the storage my refund was sorted very quickly. Would use this again and highly recommend.